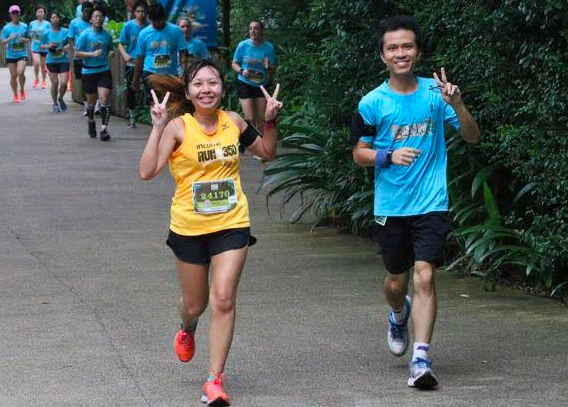 Interview With Willis & Si Ling – Couples Who Run Together, Stay Together | JustRunLah! Willis: Hi everyone, I’m Willis and I’m quite new to running as I just started running only in mid 2016. Si Ling: Hi all, my name is Si Ling. I love to run and run about 4 to 5 times a week when I find available time mostly after work. Willis: We met at Safari Zoo run early this year. But before that, we followed each other on 42Race, an online running platform where we uploads our running details. I recognised her during the run and noticed that she was slower than usual and chat with her and found out that was not feeling well, so I decided to run with her. The next day, we start chatting on social media, that’s how it all started! Willis: I first started running last year when I was 33 years old as running events were getting popular in Singapore and I don’t run other than training for my IPPT, so I just decided to sign up for a 5km fun run first to see how is it like and progressively continued signing up for running events and increased the distance as well as to collect medals. 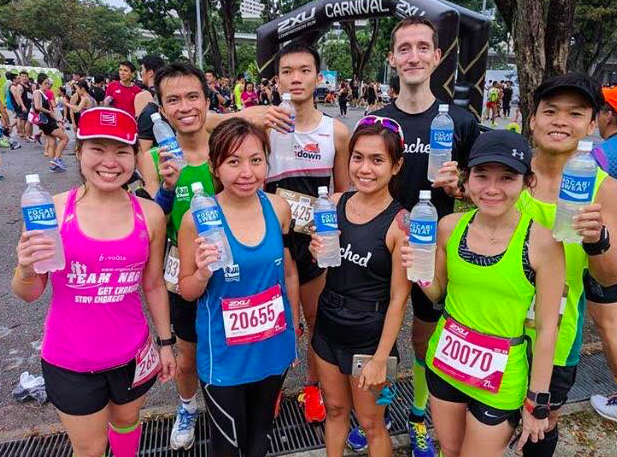 After I met Si Ling, I tried to sign up for the same runs as her so that we can motivate each other during the runs and went for my first overseas race with her in Kuala Lumpur. I never thought that I would go to the extent of going overseas to run. 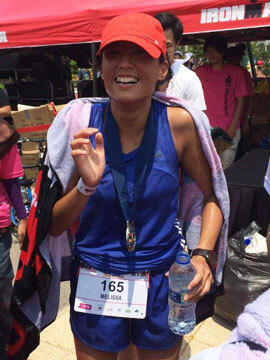 Si Ling: I started running when I was 24 years old because I was very overweight then, hitting 70kg on the weighing scale. Both my knees were starting to ache because I was getting to heavy for my body to handle and my family doctor advised me start running to lose weight. I have lost about 20kg in two years with running. I dreaded running at first, but I slowly started to enjoy my runs and found the joy in running. That’s when I continued running regularly. Running is not just running. While I run, I would also do reflections, listen to music and at the same time enjoy the nature and scenery. 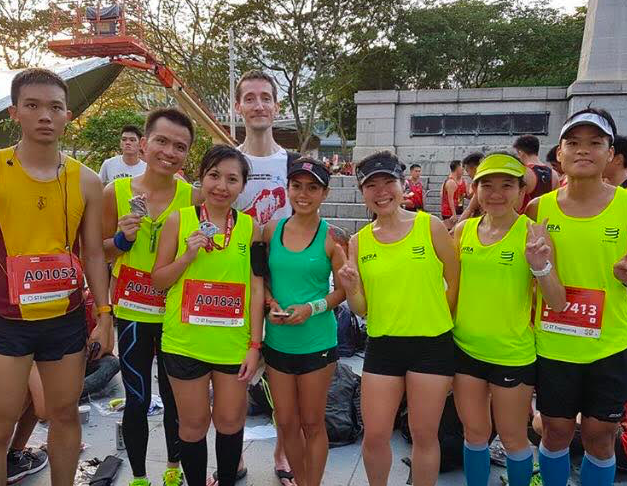 I started signing up for running events in 2015 and ever since, continued signing up for more running events as running events is really fun and I’ve met a lot or runners and get inspired and motivated by them! JustRunLah! : Your greatest reward from your sporting journey so far? Willis & Si Ling: Meeting plenty of new friends who share the same running interest and of course, we found each other! Willis: Don’t give up, if not you will just be ending it early. Si Ling: Just keep moving! You will finish it as long as you don’t stop. 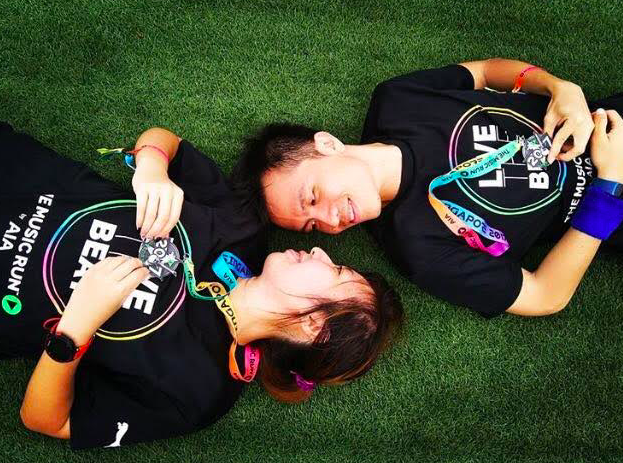 Willis & Si Ling: Just run happy and freely. No matter what speed or distance you run, listen to your body and don’t force yourself too much. Don’t stress yourself so that you can enjoy running to keep on running. Willis: to stay healthy and fit. Si Ling: exercising and eating right.